Pipe Surgeons uses high-quality video equipment to address your Melbourne sewer line problems. Our expertly trained technicians will locate a pre-existing opening in your plumbing system to insert a waterproof camera into the pipe to complete the inspection and determine the exact location of the blockage. Sewer camera inspections for your Melbourne, FL pipes allow us to detect exactly what is causing the problem before we diagnose the situation or begin digging. A sewer camera inspection can be performed without digging any portion of your property. 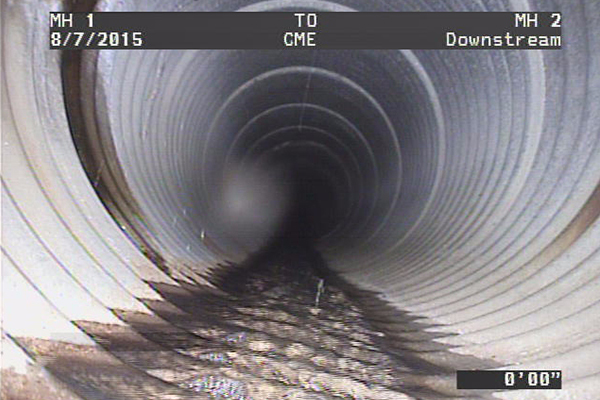 When pipes have been compromised by debris, deterioration, or complete line breaks, our high-resolution cameras give an inside look at your pipe’s condition. Any number of factors can cause sewer line issues, including invasive tree roots, ill-advised digging, or shifting soil. No matter the cause, the live picture offered by a Melbourne sewer camera inspection will allow our technicians to recommend viable solutions. State-of-the-art equipment is used by the Pipe Surgeons team with each project. Before our team can properly diagnose an issue or provide the appropriate solution, we must know precisely where the damage has occurred and of the problem is lingering in the pipes. By using the sewer camera inspection, we can identify your piping material, plumbing age, and determine the condition of your sewer line. By taking photos before and after sewer line treatment, our team can show you the effectiveness of routine plumbing maintenance and ensure the job has been done correctly. Do I Need A Melbourne Sewer Camera Inspection? Environmental and man-made issues can contribute to the condition of your sewer line. A routine camera inspection allows our team to identify and prevent small plumbing problems from becoming major Melbourne emergency plumbing issues. Because the inspection doesn’t hurt your plumbing in anyway, it’s safe to have the routine maintenance service performed each year or as needed. Sewer camera inspections allow the Pipe Surgeons team to recognize invasive tree roots, grease buildup, off-grade pipes, misaligned or corroded pipes, and punctured or broken pipes. A sudden increase in your water bill or long-running plumbing issues may have you concerned about the condition of your pipes. Our trusted team of Melbourne plumbers will visit your home or business and complete a sewer camera inspection in a timely, minimally invasive way. Consider scheduling a camera inspection if you are buying a new home, dealing with a slow-draining shower or tub, battle constant clogging, or experience sewer backup. With our advanced technology, our technicians will identify any defects or damages in your pipes and provide the solutions you need. Contact us today to get started!